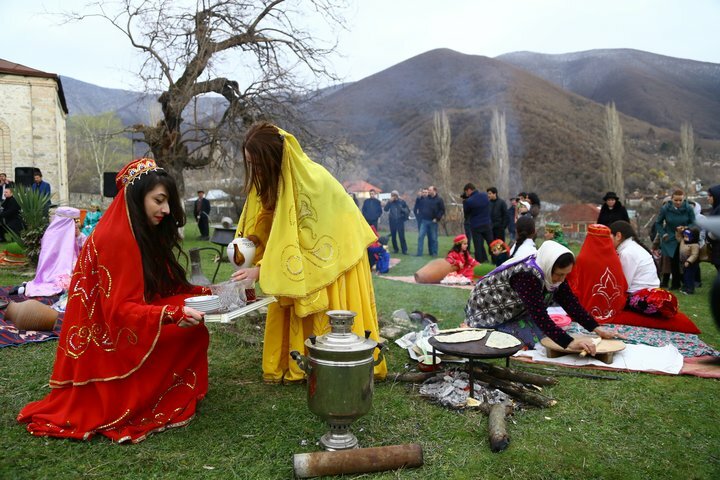 As the new Iranian year 1397 began on Tuesday evening, Iranians and other Persian-speaking nations are celebrating Nowruz, the oldest festival in the Persian calendar that is believed to have been started by Zoroastrians around 3,000 years ago. While Nowruz is celebrated by the world’s Persian-speaking community and other ethno-linguistic groups across Western Asia, Central Asia, the Caucasus, the Black Sea Basin, the Balkans and even parts of Europe, Iranian have their own customs to mark the event. Iranian families inside and outside the country gather together to see in the new year. On the first day of spring on Farvardin 1, when day and night are around the same length, Iranian families visit their elder relatives and give presents to each other. Other traditions in Nowruz include cleaning the home, making special foods, and preparing seven symbolic things known as the 'Haft Seen'. These all begin with the letter 'S' (or letter 'Seen' in Persian). The items symbolically correspond to seven creations and holy immortals protecting them. The Haft Seen has evolved over time, but has kept its symbolism. The word Nowruz itself literally means "new day" in the Persian language and the festivity marks the beginning of the solar year as well as the new year on the Iranian calendar.